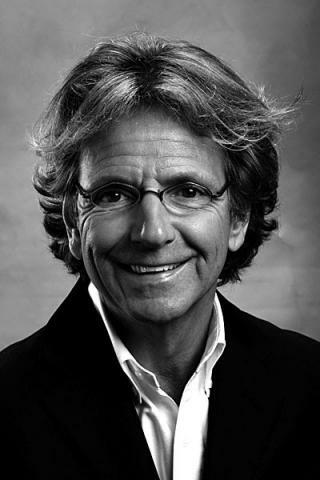 Robert E. Portrie “Bob” is an internationally known executive and speaker on customer relationship management. Working with companies like AT&T, Pitney Bowes, The Carlyle Group, FedEx, General Electric and numerous other organizations he has been a leader in the transformation of both large and small organizations to a customer centric approach to marketing and customer service. Bob has spoken at numerous events sponsored by both companies and associations on customer strategy and services to help companies acquire, retain, manage and grow their customer relationships across many industries including insurance, financial services, healthcare and retail. Today Bob is the Founding Partner of The Fenwick Group, a consulting and investment organization that has had long term engagements with a diverse set of clients including Digital Cement, The Caron Foundation, The University of Florida, Convergence Health and many other organizations across the healthcare, financial services, insurance, retail and investment sectors. Bob spent more than twenty years with AT&T in numerous sales, marketing, operational and research positions. 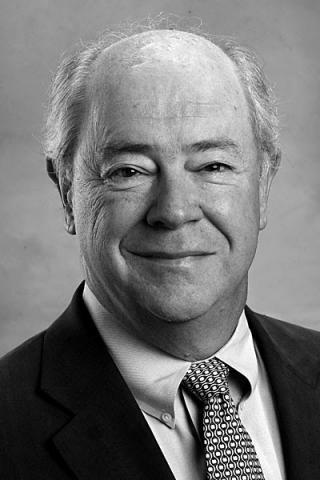 In his last position at AT&T he was the President and Chairman of the Board of AT&T InView, a subsidiary focused on providing network centric business applications for the insurance and financial services industry in the United States and network based mortgage illustration software in the United Kingdom. This technology evolved into the Application Service Provider technology prevalent today. Bob was responsible for taking this partially owned subsidiary based in Europe, buying out the European interests and transforming it into a wholly owned US subsidiary of AT&T. After a career with AT&T, Bob took on the challenge of becoming the President and CEO of InfoMation Publishing Corporation, a CMGI subsidiary, located in the Boston area that was one of the first core CMGI organizations.Bob spent from 1997-99 at InfoMation creating a leading edge knowledge management software company.Following the merger of InfoMation, Bob became a Managing Partner at RCM Technologies, a National consulting and staffing company headquartered in New Jersey.During his tenure at RCM, Bob became active in working with companies ranging from the Fortune 50 to start up companies.Bob’s activities included capital formation, business plan development, product design and software development and integration. Bob is the former Chairman of RNETHealth, Inc., former Chairman and member of the board of Confirmnet Corporation, member of the board of Digital Cement, a Canadian Corporation formerly known as Envision Communications, former member of the board of Visual-IOand a member of the board of Liberty Bloom..
Bob is also on the Addiction and Psychiatry Board of the Brain Institute at the University of Florida.He is a past member of the Board of the MIS School at the University of Arizona, The Canadian/New England Advisory Board sponsored by the government of Canada, Technology Point International and the Advisory Board of ACORD. Jay Handline specializes in counseling clients on using Internet tools, technology, products and marketing to improve their Integration into the Internet economy. Handline has been the chief operational architect and executive vice president of interactive technology solutions at RNETHealth, Inc, a cable TV company, and is responsible for building the interactive technologies business unit, inclusive of all Business-to-Business applications as well creating and taking the www.mymindandbody.com and www.rnethealth.com public sites live with the associated Business-to-Consumer initiatives. Handline has managed and co-founded one publicly held multi-media high-tech company and presently is completing a reverse merger with another publicly help company. Additionally, he has managed and helped to sell two additional successful start-ups. He has 6 years experience in the high-tech market with an emphasis on the integration of technology into the health service delivery world. Handline also has significant experience with software, content creation, media, interactive multimedia, and digital technology. Handline's ability to establish Strategic Partnerships and strike Content related deals that create connective tissue is a major key in speed to market development and initiation in the launching of highly focused Internet Platforms. Handline, as Senior Vice President of Business Development of Lifescape 1To1, successfully helped launch Lifescape 1to1, LLC that was formed in August of 1996 as a joint venture between TCI Digital Health Group (TCI) and Recovery Television Network (RTV). In October of 1998, FHC Health Systems, (FHC) invested in the venture. FHC operates Value Options; the second largest managed behavioral health care company in the US. Key to its strategy is to begin its services using today's web centric capabilities and to move toward broadband, television based on-line platforms as AT&T, Times Warner and other cable industry distributors deploy these services. In 1995, prior to helping to found Lifescape 1To1, Mr. Handline also was involved in the start-up of Recovery Television Network as Senior Vice President of Business Development. Jay helped to secure private equity capital and forge successful partnerships to aggregate products, services and information from dozens of world-class partners. These partnerships include AT&T/TCI, Liberty Media, J2S2, AOL, Yahoo, Viant, Digital Evolution, US Interactive, IHCG, Magnet, IHL, Medical Broadcast Company, Glaxo Wellcome, J&J, Merck Medco, Phizer, Rodale Press, Magellan Health Services, Value Options, Foundation Health/MHN, United/UBH, Kaiser Permante and The Brain Institute at the University of Florida. Handline has worked with emerging growth companies for over twenty years. Handline presently is a member of the e-Healthcare Association and a member of Medical Telecommunications Associates where he has provided strategic consulting services for healthcare and digital cable and Internet companies. Handline created his own consulting firm, "Evolving Health", which he recently merged with Bob Portrie to create the Fenwick Group, a diversified consulting organization. Cathey is as a registered nurse with experience that includes community health, pediatrics, hospice care practice, coaching, content development and teaching. 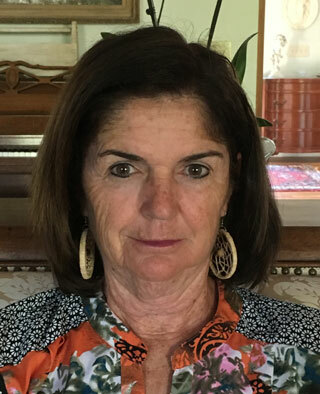 Cathey is certified as a health and wellness coach (NBC-HWC) and hold a MS from Boston University as a clinical nurse specialist in Community Health Nursing with a focus on health promotion and disease prevention. Nursing has taken Cathey on a fascinating journey allowing her to develop competencies in pediatric and long-term care with an emphasis on wellness. Cathey’s work experience has taken her to various hospitals, colleges, companies and community health agencies in New England, Florida, New Jersey and Spain. Cathey has used her educational background in health informatics to create technology driven wellness assessments in combination with coaching and case management. Presently Cathey is working on the effects of running on mental health, creation of vegan recipes, positivity in wellness and meditation as adjuncts to her wellness initiatives. Cathey is an avid runner, recent three-time marathoner having just completed the 2017 NYC Marathon for the 2nd time and has participated in multiple medium distance running events.